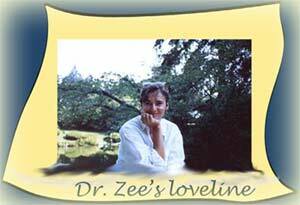 Dr Zees LoveLine. Caring means: being seen, recognized, mirrored. Look at me, look at me! The cry of most children. Dr Zees LoveLine explores: What happens if we are not seen, not recognized, not affirmed. Being seen: a major ingredient of caring. The children of depressed mothers often get touch - their mothers may hold them, maybe for hours. The babies may still not get whatever they need to bring alive their own inner sense of joy, happiness, pleasure, delight. Carl Rogers is known for his emphasis on our need for mirroring - for having what is happening in us to be seen and mirrored back at us. I remember a friend saying to me, you really look sad - and tears came. That's happened more than once. I knew something sad had happened - some big loss. But it took someone else's words to change numbness to grief. I think of my mother. Her grandmother died when she was eleven. Her grandmother - the woman who brought her up, who was delighted with her, who cared about her. Her grandmother had been getting more and more tired. One afternoon, as my mother was doing her homework, her grandmother died. She was napping in the same room as my mother was doing her homework. My mother heard nothing. My mother has always said that, when she dies, she hopes it will be like her grandmother - peacefully in her sleep. But what happened next to my mother is not what she would wish for anyone. There was no one there for her grief. What she remembers from the next while is being proud that, at eleven, she could do the cooking for her grandfather. That was only the beginning. She soon had go back to her own mother, a woman who had no room in her life for this child from a dead marriage. She was blunt with my mother - long before she was my mother, when she was still an eleven-year-old child, "I don't want you." "I have nowhere else to go," was all my mother answered. She did not cry. She did not rage. When I have heard her talking about that time, I feel her numbness. I cannot feel grief or rage or hurt for her - it is as if her own emotions are too frozen. I too feel numb, matter of fact. It's not just to bring feelings alive that we need to be seen. I've found that, when working on a project, the right kind of being seen, makes things zoom ahead. Not always. I show. Someone sees, gives a response. Sometines I shut down. Everything goes dead in me. But at other times, there's almost an inner explosion - like a seed bursting its shell, germinating, putting forth roots, leafs, branches. I feel full of energy. Ideas pop out all over. 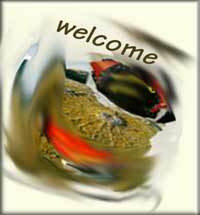 I come to new directiions to take, and am eager to try them. I can't wait. I wake up in the middle of the night, more full than ever of plans and schemes and dreams and possibilities. What happened? Someone not only saw, but saw a possibility I hadn't seen. And walls came tumbling down, new vistas appeared. Eureka! Amazing! Fantabulous! Kazoom! It's not quite teamwork - because it's tended to be for one of my projects. It's being seen by someone who sees something more that I welcome catching a glimpse of. And I can't wait to get back to work. I also know - so often those outside eyes have been missing. The outcome has often been working over and over something that should have been considered complete. Years ago, I was so often stuck on a paragraph, on a sentence, one some detail. Things jumbled, would not come together, would not make sense on paper though they easily made sense in my head. Somehow I missed that outside steadier, that steady presence - solid but not controlling; steady but not overwhelming; present but not focussed on what I was doing, not someone looking over my shoulder. I so easily feel what it is like without those benign outside eyes - I am a car caught in a rut, digging myself deeper and deeper every time I rev the engine. The right kind of eyes - they are like a hand held out to me. Or rather, they make the ground steady under me so I can run forward, onward. Somehow everything is easy. I'm going to end things here, for now. I already know some of the other ingredients that are important to me. But you, what do you think matters in caring? What experiences stick in your mind, of caring, and of being cared for? Also, of not caring, and of not being cared for? Let me know. I want this exploration of caring to be ours, not just mine. MAY BE THE MOST INGREDIENT IN CARING. Click here the start of an exploration of Caring. Click here for the menu of all the entries. Look at me, look at me! The cry of most children. not recognized, not affirmed. Being seen: a major ingredient of caring.